The most important factor for Korean overseas travelers during this year's summer vacation period in choosing their destinations turned out to be package tour advertisements. According to a survey conducted by the Korea National Tourism Organization (KNTO) Aug. 3-12, 2005 on 500 Korean tourists selected at random at Incheon and Kimhae international airports, 34.4 percent of respondents said that they selected their final destination after reading newspaper package tour advertisements. Among other factors influencing their decision on destination were recommendations made by friends or relatives (26.9 percent) and favorable image of destinations (15.1 percent).In the similar poll conducted in 2003, only 17.2 percent of respondents said package tour advertisements were decisive factor for them in picking up final destination for their summer vacation. When asked to pick up their favored destination, 36.9 percent of respondents chose China followed by Japan (19.4 percent), the United States (8 percent) and Thailand (7.1 percent) in that order. By profession, office administrative workers took the lion's share of 34.2 percent followed by housewives (20 percent), students (17.8 percent), sales peoples (10.2 percent) and other professionals (9 percent).In term of household income bracket, 40 percent of respondents belonged to the group with an annual income of 40 million won to 50 million won. KNTO is conducting the survey every two years in the months of March, May, August and October as part of efforts to grasp behaviors of overseas travelers and travel patterns. In the meantime, South Korea's service account deficit rose 77 percent in the first half of the year to $6.13 billion from a year ago due to an increase in spending by Korean tourists and students overseas. The Ministry of Commerce, Industry and Energy said in a report that exports in the service sector grew 13.4 percent, while imports surged 23.1 percent. Deficits in the trade of tourism and overseas study-related industries surged 71.6 percent to $4.38 billion, the report said. The number of foreigners visiting Korea in the January-June period was 2.9 million, up 7.9 percent from a year ago, while that of Koreans traveling overseas was 4.77 million, up 17 percent from 2004. Other key factors increasing the deficit were the increase in those studying abroad and a drop in the average amount of money spent by foreign visitors to South Korea. Tourists spent an average $1,059 in the first six months of 2004 in Korea, but the figure fell to $891 in the first half of 2005. 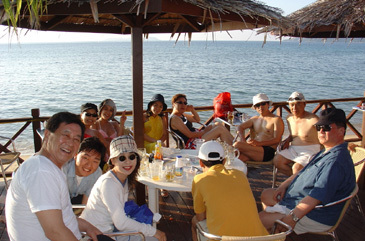 The average South Korean abroad spent $1,109 in 2004 and $1,192 in 2005, the report said. The ministry said the South Korean won's appreciation against the U.S. dollar and the increased adoption of the five-day workweek helped fuel the increase in overseas travel. South Korea posted a deficit in its service trade account of $8.77 billion for the whole of 2004, but the figure is expected to rise significantly this year, the ministry said.